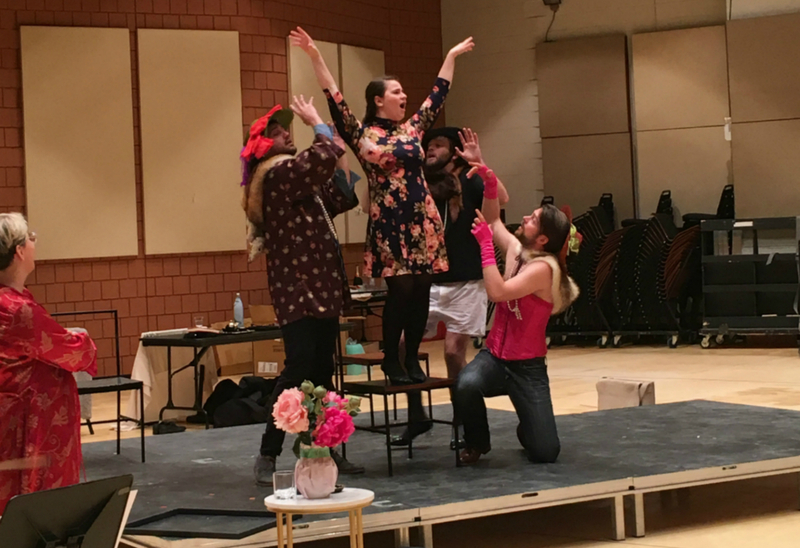 The lives of infamous arts patrons Gertrude Stein and Alice B. Toklas are making their way to the opera stage and they’re bringing the City of Lights with them. L’Atelier lyrique de l’Opéra de Montréal presents Twenty-Seven, from March 23-31, as a part of the L’Opéra de Montréal 18/19 season. Twenty-Seven explores the relationship between Gertrude, Alice and their salon at 27 rue de Fleurus in early 20th-century Paris. Each of the opera’s five acts represents a different period in Stein and Toklas’ lives. Not just focusing on the two women, audiences will encounter Ernest Hemingway, Pablo Picasso and other famous artists who visited the salon in their prime. They bring a real-life, humming energy to Twenty-Seven that is different from perceptions of them we might encounter in their works. 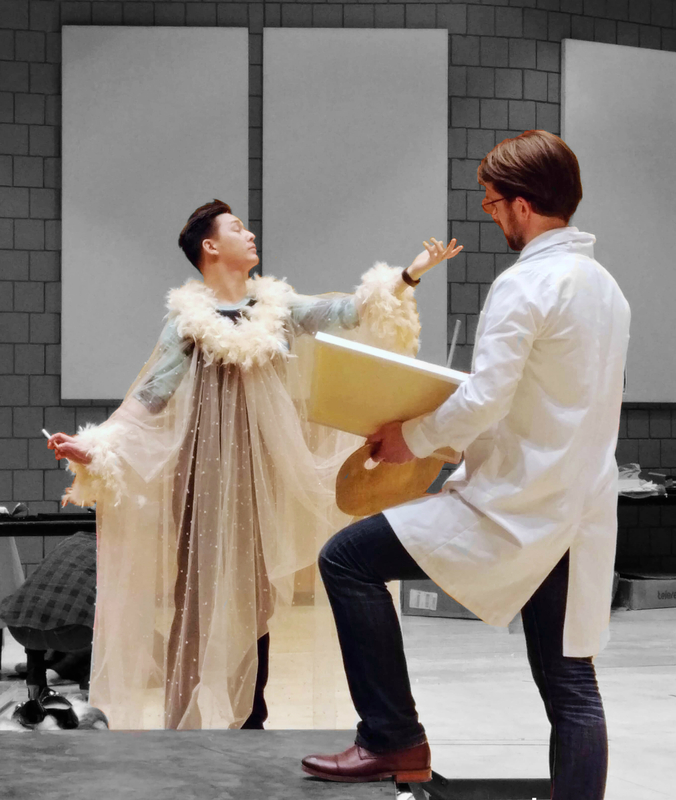 “It’s more of the artistry atmosphere that we feel in the opera,” says the production’s director, Oriol Tomas. With writers and painters buzzing around, discussing their craft, the stage is filled with the artistic excitement of the period. Although Stein may be better known, Tomas made it his goal to give equal importance to Alice who spent 40 years together with Gertrude as a couple. 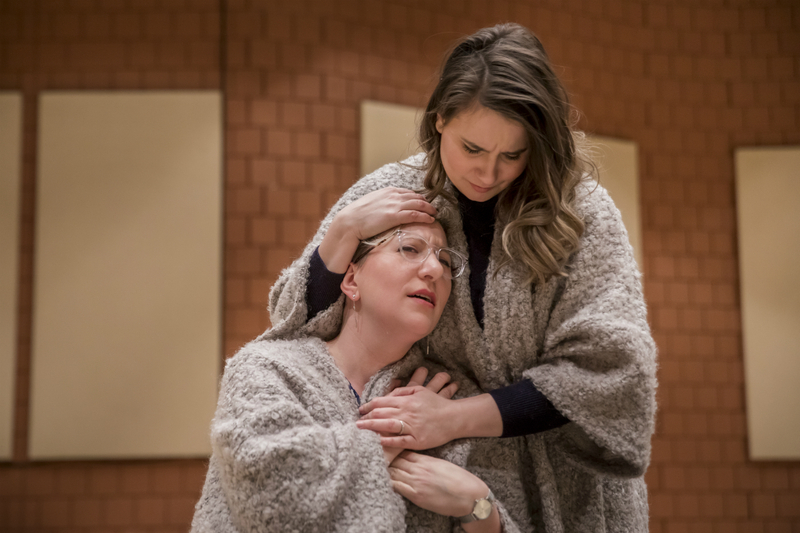 The opera doesn’t end with Gertrude’s death, but rather, follows Alice’s subsequent journey through isolation after having been with her partner for so many years. In preparing the role of Alice B. Toklas, soprano Elizabeth Polese did extensive reading and research—perhaps more than typically required of a fictional character. It was through interviews with the real-live Alice on Youtube that she discovered Toklas was a chain smoker with a low speaking voice—worlds away from Polese’s high soprano comfort zone! For the Toronto singer, all the preparation was important: “I wanted to make sure I was able to play a character and not a caricature of her,” she says. Tomas had to do a fair bit of digging of his own. He spent nearly a year and a half researching everything from biographies to the actual works of the artists involved in the opera. Dealing with these famous historical characters is a directorial challenge because they were very real people. Even though the opera represents historical figures, some artistic changes had to be made for the stage. Especially when it came to Gertrude’s preferred brown and corduroy attire! Thomas wanted more exciting, theatrical costumes that went beyond the historical accuracy not in design, but in colour. “I [aimed for] an interpretation of the characters… [giving] them some colours to allow the audience to [mirror] what’s happening in their minds,” he says. When it comes to the set, the design is much more abstract. “We tried to evoke much more than what is realistic and what is this salon,” Tomas says. In keeping with the early 20th-century setting, the team presents a cubist vision of the salon inspired by the pioneering work of artists like Picasso. Visuals are played with so audiences will see fragments of the floor turning up on the ceiling and walls. “We wanted to create that [intimate space] with the audience [where they] feel they are in the salon with the characters,” Tomas says. A cubist design and smaller venue also means a smaller orchestra. For this production, a piano and cello are used instead of the larger ensemble called for in the original score. 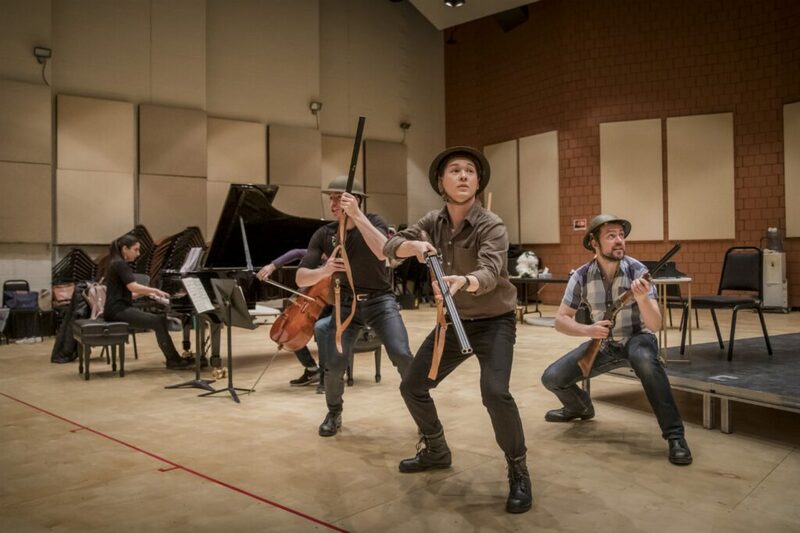 “This opera walks the line [between] being historical but also whimsical,” says Polese. Reflecting the characters’ attraction to the avant-garde, the music offers a vision of their reality. There are some references to 20th-century musical styles, but Twenty-Seven won’t literally take you back in time. Instead the music plays with different styles. “Sometimes we have a very melodic duet, very lyrical arias and almost Broadway ensembles,” Tomas says. Polese points out that the whimsical elements represent moments that are a little more surreal within the story of Gertrude and Alice. The music can be tender and then will take a complete turn and become very busy. Dealing with two world wars and a myriad of personalities, the score charts the progression of how time (and insecurities) wear on the couple. The audience follows their journey from the beginning of WWI until the end of WWII where things take a turn. They are able to see how unique the relationship was. News: 19/20 Calgary Opera Season Reveal!